If you read my previous post: 2 Days In Paradise On Gili Trawangan, you’ll understand that I completely fell in love with the Gili Islands during my short stay. Their rustic charm, golden sands and turquoise waters captivated my heart, and helped ease the worries of modern life! 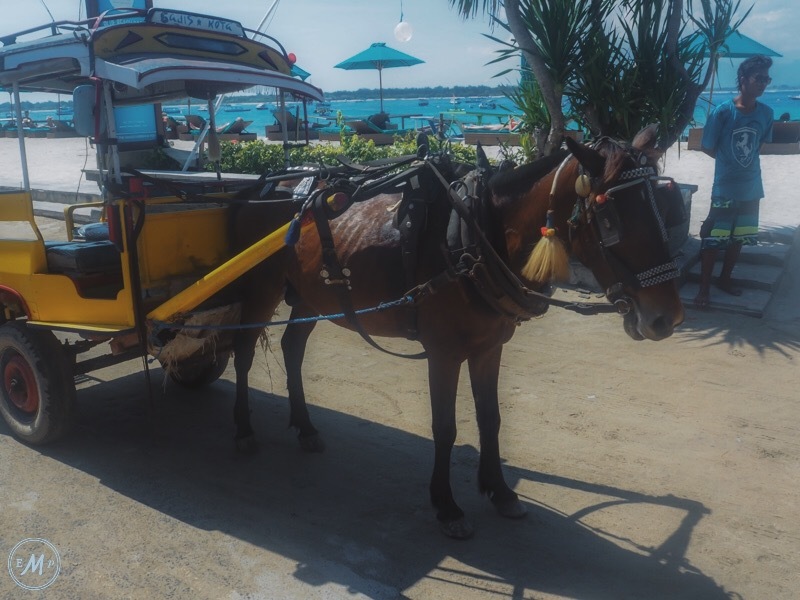 However, there was one thing on the Gili Islands that instead of lifting my spirits, broke my heart: the suffering of Cidomo Horses. Not understanding how close my hotel was to the port, I accepted and climbed aboard. It was a decision I immediately regretted as the driver whipped the horse into a fast paced trot, despite the stifling mid day heat. I felt like telling him to let the poor fellow walk, but chickened out, something I’ve felt guilty about ever since! HINT: if you visit Gili T don’t be as naive as me! The island is pretty small, most hotels and guesthouses are less than 1km from the port – WALK! This was only the first time I felt as though the Cidomo Horses were suffering! 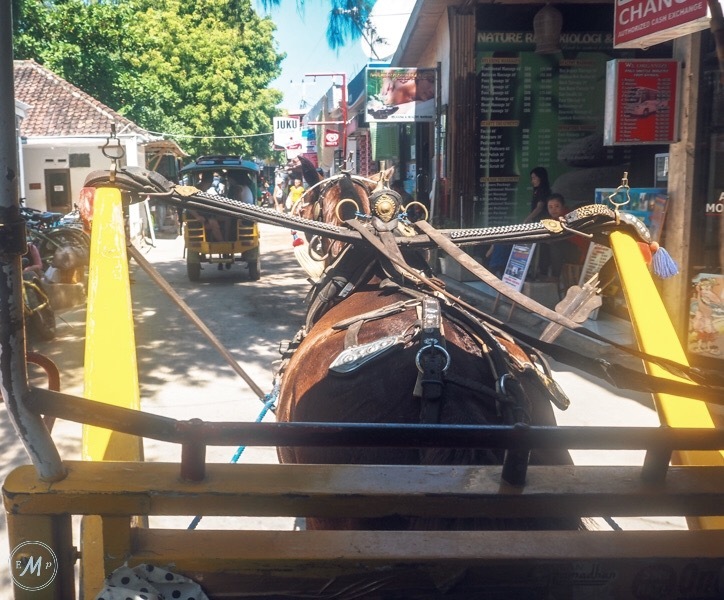 During the remainder of my time on the Gili Islands, I witnessed several of the horses buckling under the weight of literally bulging carts. Further, many were underweight and emaciated, appeared to have little social interaction with other horses and were constantly uncomfortable due to ill fitting harnesses. However, what was worse were the hours I noticed some of the horses working… I recognised one horse I’d seen in the morning still working at 11pm (probably without a break). The suffering of these beautiful horses was quite clear to see! By the end of my stay, it made me angry to see tourists loading their heavy cases onto the back of the carts, couldn’t they tell the horses were exhausted – perhaps its harder for non horse owners to recognise? This said, I couldn’t help but feel a hypocrite, after all I myself took a Cidomo ride when I arrived on the island. In this way, I think its one of those things were if people understood what was going on (before visiting the islands) the majority would not continue to endorse the horses suffering by paying for ‘fares’. This is why I felt it important to share my experience, especially since most articles I’ve read seem to praise the Cidomos, stating that they add to the Gilis ‘tranquil vibes’. Moreover, I wanted to make sure this post was backed up by accurate information, because often what you see on the surface is not the full story. 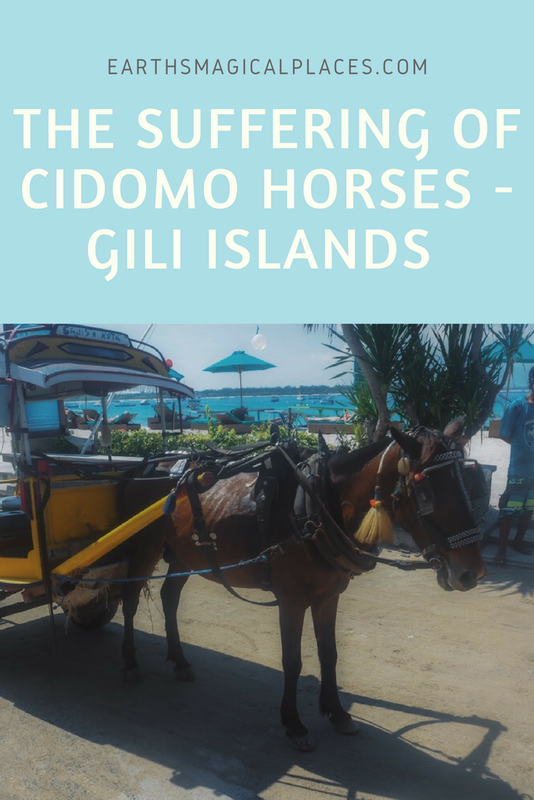 Thus following my trip, I did some research on the suffering of the Cidomo Horses on the Gili Islands and below you’ll see what I found. Before I delve into the information I came across, I thought I’d first explain where the Cidomo Horses of the Gili’s actually come from. For starters, they’re are in fact small ponies as they stand under 14.2 hands. Largely imported to the islands from Lombok, their ancestors have been pulling ‘Cidomos’ for thousands of years as they were captured and tamed by the ancient Sasak people. 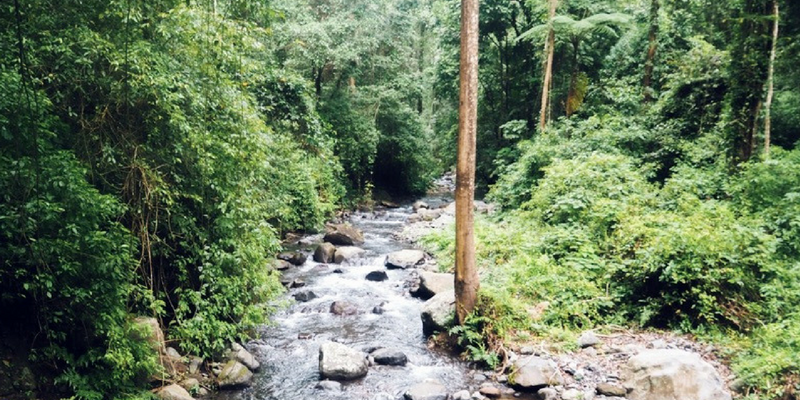 What I witnessed on the island is only the tip of the iceberg. According to several charities websites, the Cidomo Horses receive no veterinary care, are given only salt water to drink and insufficient food. On top of this, many have no shelter. Those that do are tied so tightly that they can’t even lie down. If this isn’t bad enough, some activists state that the owners ensure tourists mainly see the healthier animals. This means the horses in the worse condition are kept out of tourists eyes and instead work pulling massively overloaded carts full of building material and supplies to the islands hotels and guesthouses. 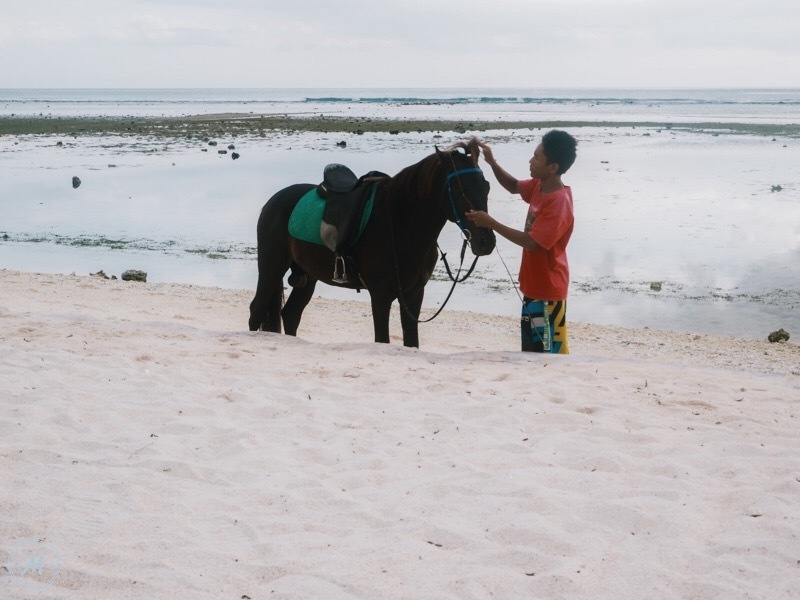 Whipped and beaten, to keep them moving, the Cidomo Horses on the Gili islands are literally worked till death. Its estimated that they live a mere 1-3 years – in comparison you’d expect a healthy horse to live to at least 20. Although this is terrible, I want to clarify that by no means every horse on the island is suffering. Of course they’ll be owners who care for their horses with the utmost love. I for one witnessed a man (who obviously cared for his horse) washing his pony down in the ocean after a days work. I struggle to believe that the owners of the Cidomo Horses are cruel. Every single person I met on the islands, was kind and honest. In many cases, its simply a matter of lack of education. It may seem absurd to us that owners don’t understand that their animals need fresh food and water, but this is often the case! 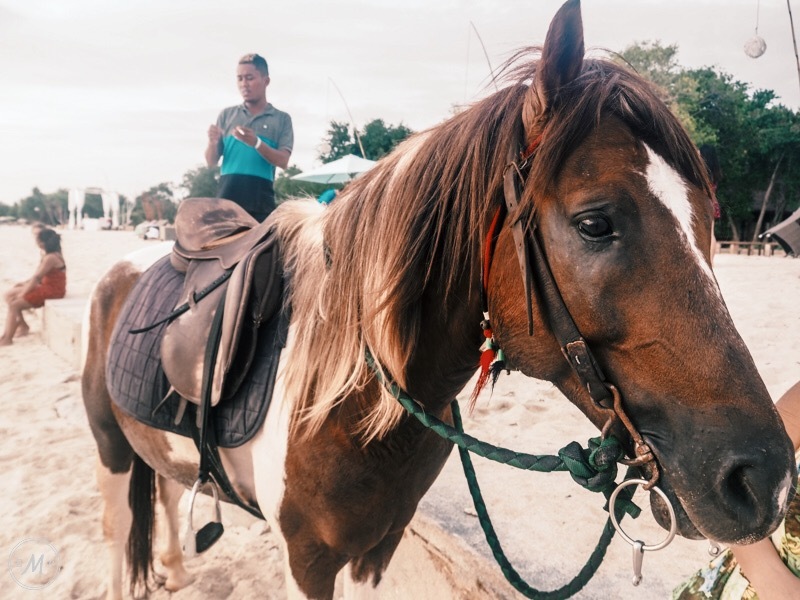 Thankfully over recent years, several organisations, such as the Gili Carriage Horse Support Network have been working tirelessly to re-educate horse owners on the islands, offering free clinics twice a month, and stressing the importance of fresh water. Further measures have been brought in to improve the situation such as weight restrictions (although they are not yet properly enforced) and ensuring horses harness’s fitted correctly. However, the situation is still no-where near good. Some even say its getting worse as more and more tourists flock to the islands. For me, the best answer would be to get rid of the Cidomos. Although its not likely cars would be introduced, increasing the number of bicycles and introducing pedicarts (like the ones you see in India) could help ease the strain. This said, I’m not an expert and the above idea is unlikely to be plausible in the real world. The situation is heartbreaking and complicated, but not unlike that of 1000’s of working horses, mules and donkeys around the globe. 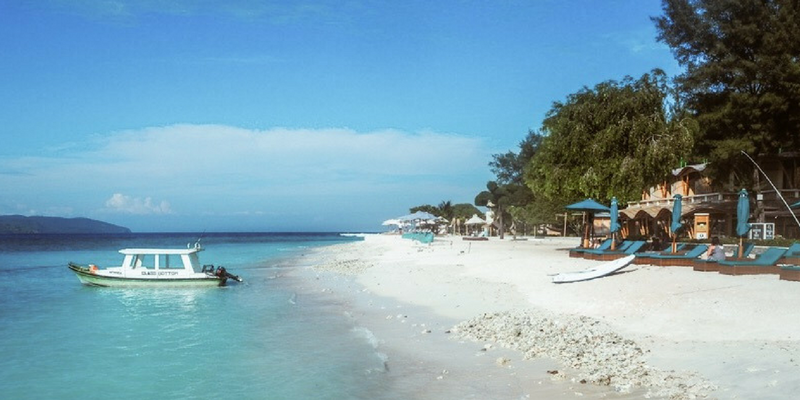 DISCLAIMER: There are some activists that propose a boycott of the Gili Islands. However this was not my purpose for writing this post. As I said at the beginning, I overall think the Gilis are a fantastic place. My time on the island brought many happy memories! I simply wanted to share the plight of the horses, so travellers will think twice before stepping into a Cidomo. 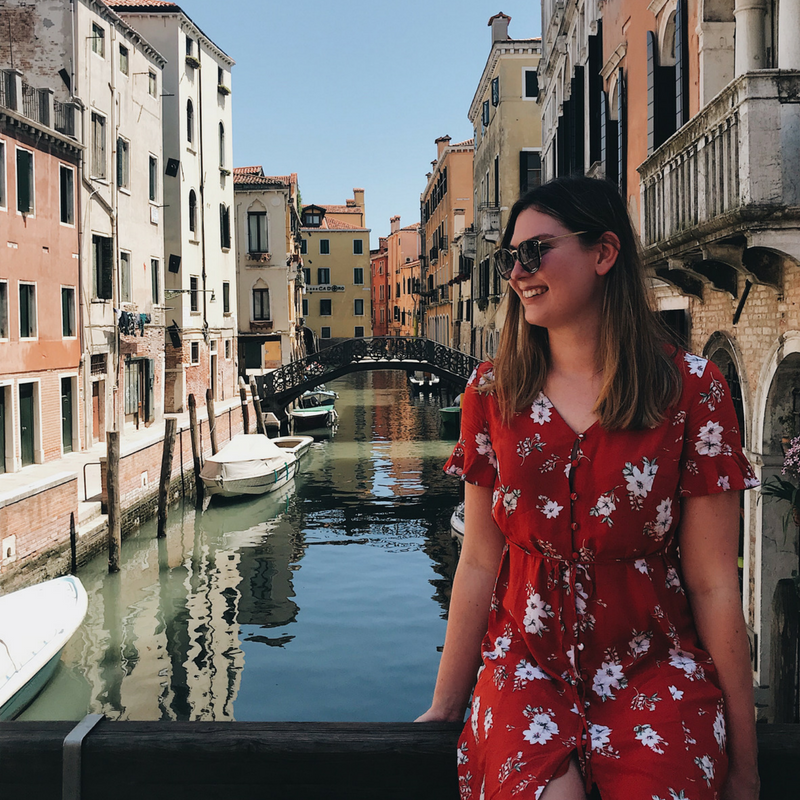 For me, it’s my mission to explore ‘Earth’s Magical Places’, and while I always try and be positive on this blog, I believe its important to tell the full story, not just the nice parts about golden beaches and tropical getaways! I feel your anguish over these beautiful creatures. I used to work as a volunteer at a Donkey Sanctuary (a UK charity) and they work tirelessly across the globe to raise awareness, support and educate donkey owners. One project they are working on is Santorini and working together with the cruise liners to reduce the plight of the Donkey’s welfare there. It is heart breaking to see animals being worked to death and mistreated and we can only hope that our blogs will go some way to relieving the situation just an inch. I’d love to be involved in a project like that! Its so heartbreaking that animals are abused all over the world, but at-least there’s just as many fantastic organisation trying to make things better! It’s so sad the way the horses are treated, but I wonder how much of it has to do with economic pressures (both to force the horses to work as fast/hard as possible in order to maximize what people get out of them, and because horse care is expensive). It makes me wonder what would happen if every visitor to the Gilis were charged a “cidamo tax” on arrival that went to help address those pressures. This is hardly unique to the Gilis. In Spain I saw horses working long hours with little water, no social interaction and they could barely see due to these screens near their eyes. I went on a walking tour and the guide told us the horses are crazy. Of course they’re crazy under these conditions! Sadly the kind of tourism that requires horse transportation doesn’t seem to be declining, but some are better than others. At least in Charleston the horses can drink water. I’m glad you wrote this post, I’ve been meaning to write something about the horses in Spain for ages. Aww, those poor sweet horses. I try to be cognizant of how animals are exploited for tourism but sometimes it is hard to see when the locals normalize it. It is great that you are educating people about this travesty. Thank-you! Couldn’t agree more, makes me so upset! Its such a big problem all around the world, but a complicated one to resolve…. That being said, I like the idea of supporting charities that educate and provide fresh water, veterinary services, etc. Yes that’s totally true, these are working horses! By nature they’re tough and sturdy. However, their work-load has increased 10 fold since the introduction of tourism, which is where the problems lie. Again couldn’t agree more that they’re an asset to their owners. For many driving Cidomo’s is the only in-come they can find. But yes, as travellers we should all do out part to improve the situation! Thankfully, you are not the first person to address the suffwring of these poor animals. A great cause and so glad you are spreading the word. I hate seeing animals suffer for human benefit. I really appreciate your article and the fact that you draw attention to the problem! When I was on Gili T I noticed the exact same thing and refused to take a carriage anywhere. I was shocked at how malnourished the horses were and it was obvious that quite a few that I saw were ill. I really hope that the island will improve their conditions soon! I remember the first time I witnessed an animal rights issue abroad.. I was in Mexico. These exhausted horses were giving rides on the beach and they were being whipped and led to drink ocean water.. thank you so much for bringing attention to this. I am a huge animal lover and lived on Gili Air for 15 months. I never once caught a cidomo instead I carried my 33kg backpack and day bag to the north of the island when I first arrived, and continued to carry my own luggage whenever I moved accommodation. It just never felt right and the more people use them, the more they lush the price up and the more they are worked, however they had to be a balance after all, this is people’s livelihood after all, so more education and more government assistance would be good. Throughout my time in Gili Air, every single horse that I saw I made sure I looked at them properly which is a lot of horses! Thankfully the instances of hardship were few and far between, some cidomo owners had a couple of horses which they would rotate, most stopped working after dark (6pm) and most had a sheltered “home” to spend the night. I say “most” because I obviously can’t speak for all the horses as I didn’t walk around every inch of the island inland. 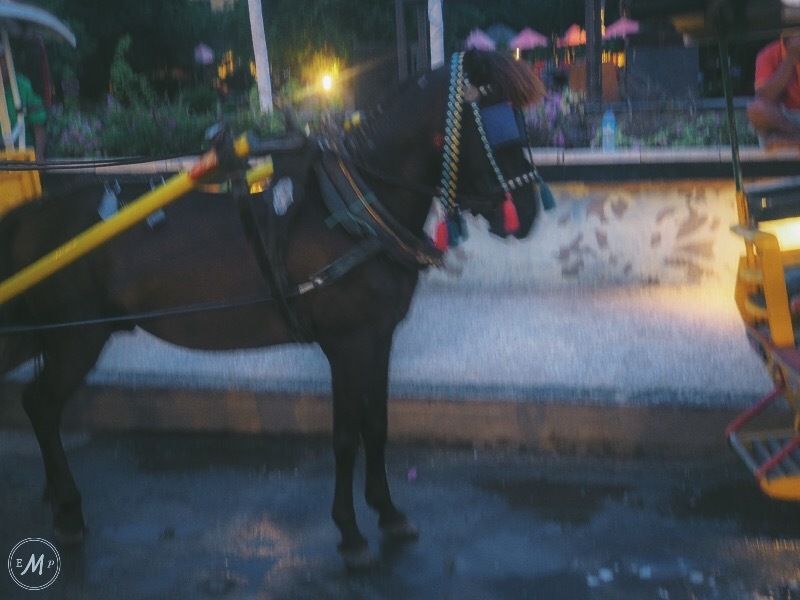 There are 2 different types of horses, the tourist horses that drive the cidomo and worker horses that carry tanks/veg/shop supplies around the island. All are working horses to be honest and they are all naturally a smaller breed than the western world is used to seeing. The situation is worse in Gili T than Gili Air due to the number of tourists but an introduction of bike carts would be good actually as it would still give people jobs. The charities that are there are amazing and the Horses of Gili also need a mention. It’s a difficult situation and tourists need to be more aware before they just jump on a cidomo. If it doesn’t feel right, if the driver is whipping or going to fast, we all have to speak up because the horse can’t have it’s say. This is heartbreaking…. I am currently visiting Gili T and yes, as soon as I disembarked from the speedboat I was aggressively solicited to travel to my hotel by cidomo. My senses said no and I actually told the drivers that it’s too sad for the horses! We are staying the farthest point from the harbor and we rented rickety bikes and the guys helped strap our suitcase to the back. Off we rode! My bum is so sore but I feel much better about it than the guilty conscience of making the horse carry my crap. Thanks for the post! It validated what we intuitively felt was wrong.